In today’s super-busy world, we all love convenience. We want everything to be easier including our mobile spray tan. Your individualized mobile spray tanning experience will take no more than 30 minutes, and that’s with set-up and break-down. Oh, and don’t worry. 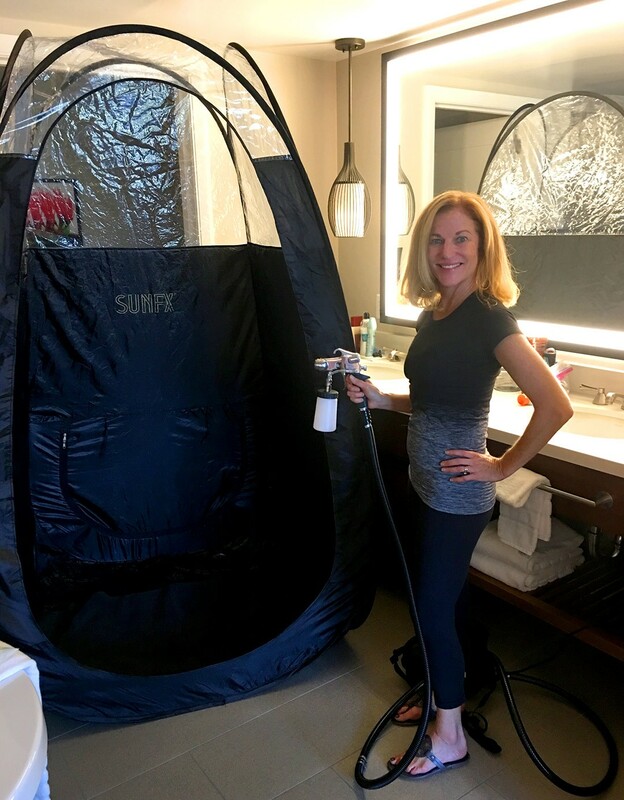 Your space will be left 100% clean after our spray tanning session, thanks to the mobile spray tanning cabana. Just think, you won’t have to get in the car, set up GPS, find parking, and sweat as you walk from your car. We are in Maui, Hawaii, after all! Instead, have a magical, stress-free, airbrush spray tan without ever having to walk out the door. And if you’re a bride? Well, your wedding day just got a whole lot easier, thanks to our organic mobile spray tan services. Relax and be pampered wherever you’re preparing for the big day, and get ready for your on the go glow. Call Wendy for individual or group mobile spray tanning rates. Note: Prices for these areas will vary depending on request day and time. Contact Wendy with questions at 808-276-7733 or wendy@mauieleganttan.com. • Make your appointment today!